2017, Pottier A. et al. Combination of NBTXR3 and cisplatin has been evaluated in vitro and in vivo. 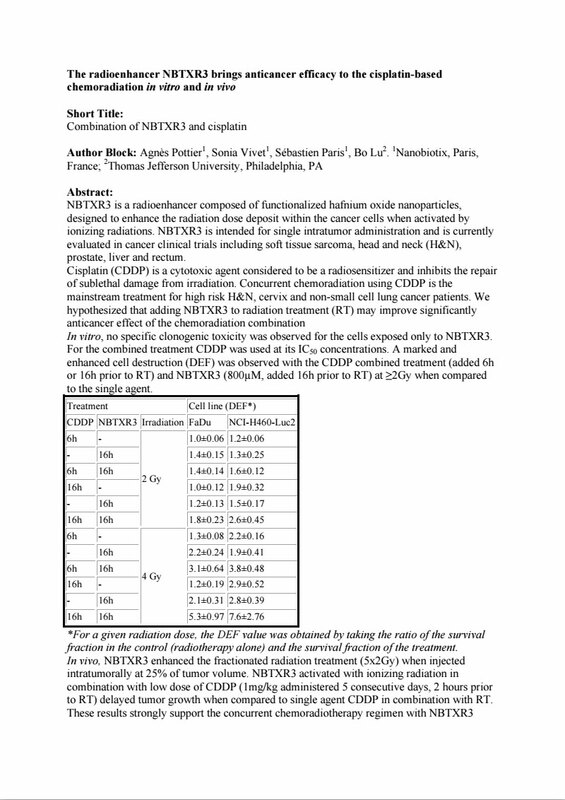 No specific toxicity was observed for the cells exposed only to NBTXR3. For the combined treatment, a marked and enhanced cell destruction when compared to the single agent. In vivo, NBTXR3 combined with low dose of cisplatin delayed tumor growth when compared to single agent cisplatin in combination with radiotherapy.